Following her appearance on Jimmy Fallon, Priyanka Chopra stopped by Good Morning America in New York yesterday(February 6th) to continue promoting her new film 'Isn't It Romantic'. Rocking another power suit, she stepped out in a white printed ERMANNO SCERVINO RESORT 2019 double breasted suit with the matching button down shirt underneath. Playing off of the hues on her suit, she accessorized with pink shoulder bag and red pumps. I kinda wish she kept the blazer button up, as the suit looked better that way, especially since she wore the matching shirt. Also the bag and the pumps don't really make sense together. While there were some issues for me to pick at, this wasn't a bad look. 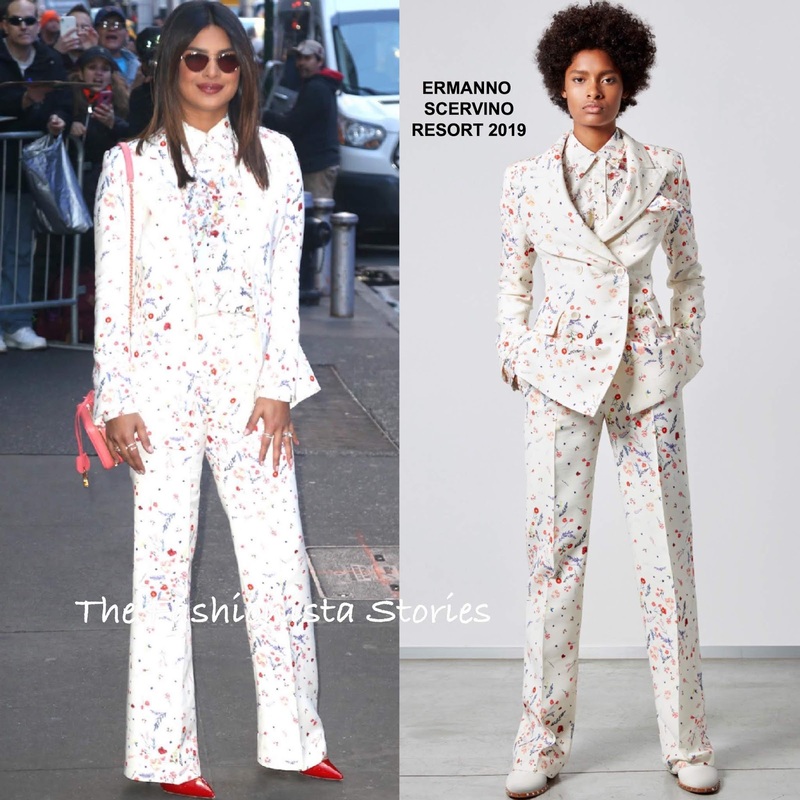 What do you think of Priyanka's suit?